In many ways, Shopify is to e-commerce what WordPress is to blogging. It’s a common, powerful platform that works well out of the box, but the true power of the system comes from the apps and plugins you can install. Shopify apps come in a wide variety of different purposes, but many of them are extremely good and useful to businesses. Before we dig in, I do need to make one disclaimer. I label these apps as proven to increase sales, but that doesn’t mean they’re guaranteed to work for you. Some web stores simply don’t need certain advanced features, and others might not know how to get the best use out of them. Pick the right tools for the job, apps with functions you can make immediate use of, and don’t try to shoehorn in any integrations you don’t know how you’ll use. This app by Beeketing is an upsell and cross-sell engine that helps you turn a low value cart into a higher value customer. When a user is checking out a product, it will show them recommendations of higher-end versions of similar products, as well as products that go well with the original. Looking at a shoe? It will show off pricier shoes, as well as accessories like laces, insoles, or shoe polish. After the free trial, the app costs $30 per month. 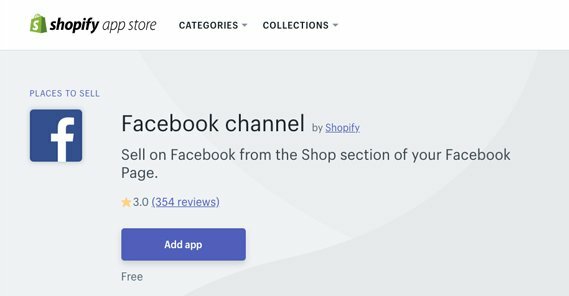 This is a free app that allows you to create an embedded store on Facebook directly. One of the hardest parts of Facebook marketing is getting people to leave Facebook long enough to make a purchase on your website. Why bother, though, when you can sell directly through Facebook? Integrations allow you to post photo albums of your products and have them tagged automatically with links to purchase those specific products. Optin Monster is one of the pioneers of exit intent pop-overs and lightbox calls to action. 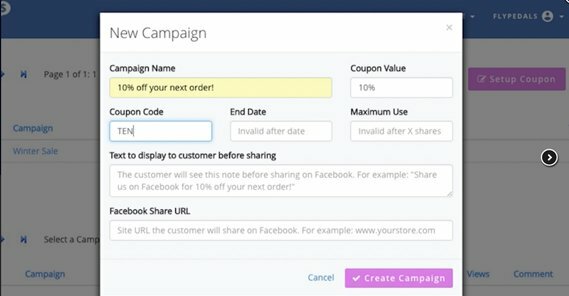 Their Shopify app helps you turn visitors into email subscribers, even if they don’t make a purchase. You can also use exit intent pops to capture abandoned carts, retarget returning customers, and even use geolocation features to target customers with specific regional deals. On top of it all, it comes with easy split testing. The app costs $50 per month. 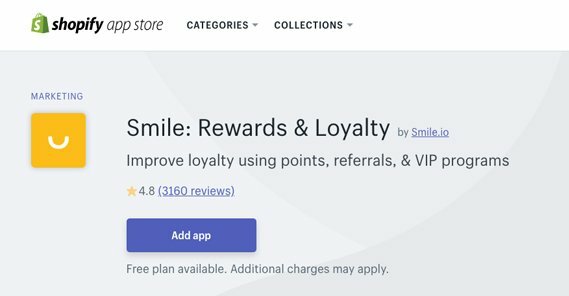 Smile is a loyalty and rewards program manager. If you’ve ever wanted a loyalty card, a rewards or points system, or any way to incentivize returning customers without having to give them special coupons or extreme deals, this is the app for you. 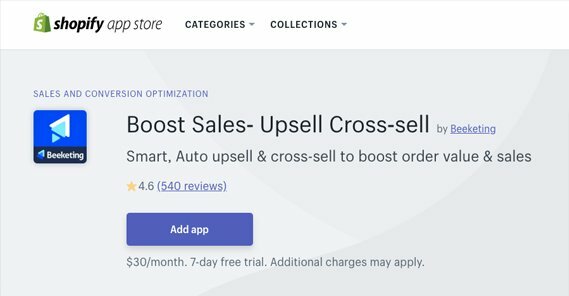 It’s responsive, easy to manage, and can integrate with other Shopify apps with no issue. They offer a free plan, but have paid plans for additional features. This is an email marketing app that includes several other ways to contact customers and reach out to potential new customers. Not only does it include email, it also can use SMS/text messages, Facebook Messenger, and even Google retargeting. It’s a very robust app, though it does need some configuration and a smart plan for using it. You can’t just shotgun out messages and hope to see a decent return. The app is free but has paid features. We all know and understand the importance of SEO. Web stores often encounter issues unique to them, such as a lower amount of content per page, the need for keyword-focused descriptions, and issues with canonicalization. All of these and much, much more are handled with this app. You can deal with broken links quickly and easily, you can set up structured data to integrate with Google and other apps, and you have all the usual SEO tools like meta data management, keyword research, and connection to the Google search console. The app will run you $20 per month. Printful is a powerful print on demand service. It’s almost less of an app to facilitate your store than it is a system to set up a new business. They have over 200 different products you can customize, including shirts, apparel, embroidery, posters, and more. You just add designs. Users buy them and the Printful facilities create the item and ship it out quickly and with minimal hassle. No minimum order sizes and no warehousing requirements to be found. Referral Candy is an app that incentivizes and rewards users for referring others to your store. It’s basically a way to set up a tiered rewards program for your brand advocates. 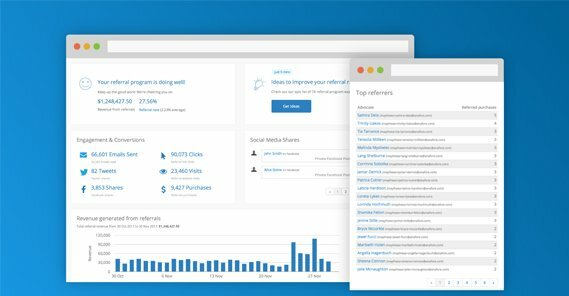 You can customize the interface from the ground up, track all of your referral performance, and reward customers however you like. Coupons, cash payments, special gifts; it’s all available for you to set up. The app costs $50 per month. This SEO app is a decent alternative to the other SEO app I’ve already mentioned. It’s a very simple tool that helps scan and monitor your store’s SEO health. It checks things like site speed and blog performance with some keyword analysis. It finds problems and notifies you when they crop up, with regular email alerts and health analysis. Use it to find problems and figure out how to fix them. The app has a free plan available. 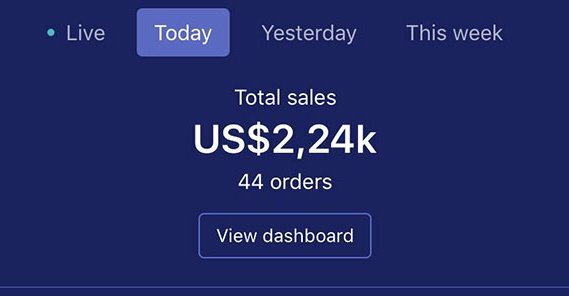 This is an app that integrates your Shopify store with your social media feeds, in a different way than usual. When users buy your products and post photos of themselves with those products, you are notified, while the app monitors hashtags and widgets. You can then curate those photos and, once you obtain permission from the user of course, can use them in your marketing. What’s better than user testimonials and social proof? No, it’s not talking about your dad here. WisePops is a pop-up manager. It has a drag and drop editor for creating pop-overs with exit intent or timed display, with a number of different possible calls to action. The most important part, however, is the 30+ different targeting options it’s able to use to display different pop-ups to different people. Of course, you get analytics for all of it on top of the tool. The app costs $50 per month. Have you ever been on a site and seen little notifications in the corner that another user purchased a product? Have you ever experienced the fear of missing out, inspired by limited quantities of an in-demand product? Do you think you could leverage both of those feelings to encourage customers to buy, and buy now? That’s what this app does for you. It’s the second offering from Beeketing on this list, and with good reason; for a free app, it does a lot to encourage sales. This is a social reviews app. It monitors your social media and follows up with customers to encourage them to leave their ratings, reviews, photos, and testimonials – as well as questions you can answer – in a way you can use them. The free plan includes on-site display and social monitoring, some SEO features, and even some content generation. Paid plans give you even more ways to display your customer reviews, and more besides. Oberlo is an interesting app and it’s not for everyone, but dropshippers absolutely love it. It’s a product search engine that helps you identify products you can sell on your site via dropshipping. The major benefit to the app, though, is that Oberlo has a network of suppliers already working with them, so you can skip the tedious outreach and negotiations and get right to selling. Before you skip this one because you don’t do pre-orders, hang on a moment. While this is a manager for pre-orders, it’s also a way to elegantly handle limited stock. When you run out of stock of an item, instead of showing out of stock and sending users elsewhere, this app allows you to let them pre-order copies for when the product comes back in stock. This helps you continue your sales, as well as know just how many products you need to order to refresh that stock. More and more people are using Facebook Messenger to talk to both each other and with brands. 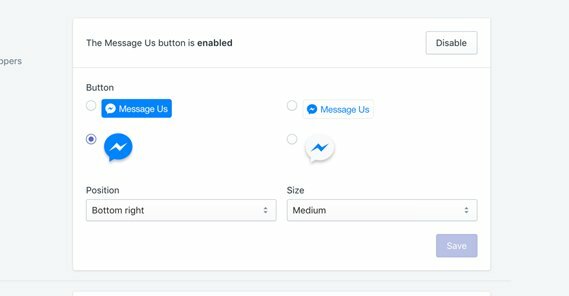 Many brands on Facebook are setting up response bots and using Messenger as a channel, so why not do it on your store? This free app allows you to add a “contact us” button branded with Messenger, that works in Messenger. So long as you have someone on the other end to answer the line, this can be an excellent channel for both sales and support. Gleam has quickly become one of the most popular and most common engines for social media contests. You can set up a wide variety of integrations to harvest information about your customers, as well as encourage engagement by requiring visits to your social profiles, asking for retweets or subscriptions, and even referrals to their friends. Gleam is free, but access to certain types of entry, high volume contests, and other expanded functions will cost money. 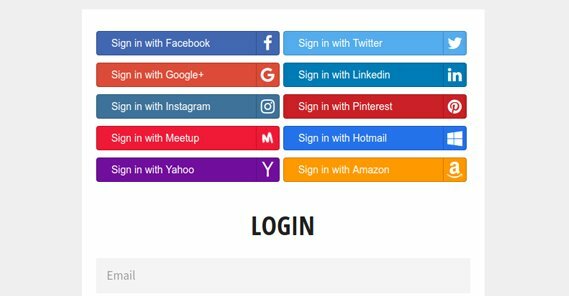 The easier it is for users to log into an account, the more likely they are to make a purchase. When they don’t need to create a new account from scratch and can just click a button to sign in with Facebook or another social network, they’re a lot more likely to buy just because of the lower hassle of purchasing. This integrates that one-click social media access and helps auto-fill forms based on the information they provide. Remember how, years ago, Amazon used to have threshold-based free shipping? You could get free shipping on orders that met a certain cart value. This had some problems – the proliferation of “filler” items was one of them – but it was still a good way to encourage larger carts under the guise of offering additional value. This app allows you to offer the same sort of plan; free shipping on orders over a certain value, configurable to your custom threshold. This $20 app is a spin-off of another popular app linked in its description. It’s a DIY version. What does it do? It incentivizes your customers to share their purchases and your posts on social media by giving those users coupons or rewards instantly. Think of it like Gleam, except with offer claims instead of sweepstakes or giveaways. This app by Snapppt is integration into Instagram. 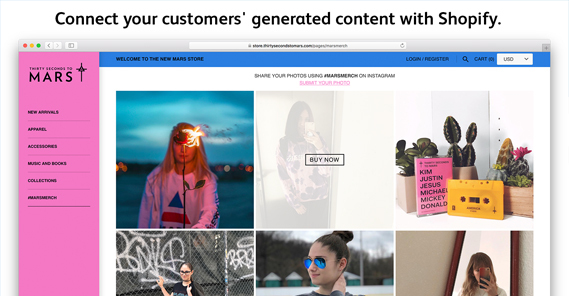 Instagram allows you to configure a store with structured data, and can use that data in special posts that allow you to tag products and sell items directly through the site. Setting it all up can be a bit of a mess, so that’s where this app comes in. It can configure it all for you, and gives you analytics, user generated content features, and influencer marketing all in one. 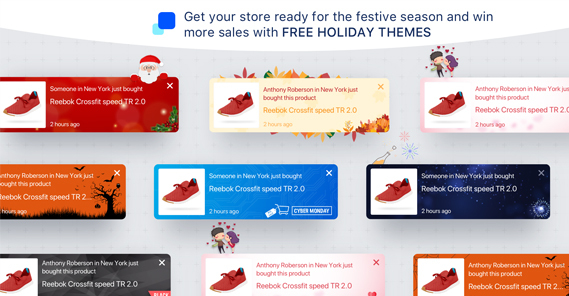 One great way to ensure that customers can come back, while also giving you excellent data to use to contact those users and sell them when a sale, deal, or contest is underway, is the wishlist. 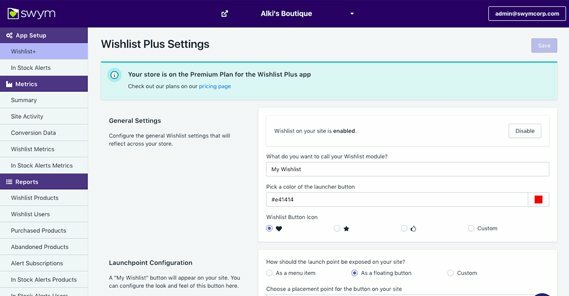 This app lets you set up a wishlist system for your store, complete with deep customization, re-engagement and retargeting options, and a lot more. If you’re not a dropshipper, you know you have to manage your shipping costs, and it can be a huge hassle to keep on top of all of the various ways to manage shipping without spending a fortune. That’s what this app does; it manages shipping methods and label printing to maximize your profits while minimizing the cost of shipping. It’s a free app, though you do have to pay a flat fee per label printed. Using all of these tools is one thing, but how do you know where your store is underperforming in the first place? Analytics! 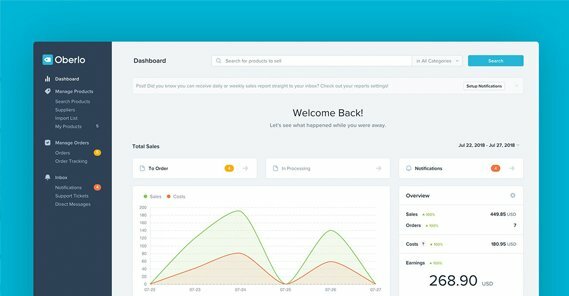 Compass is a high quality e-commerce analytics platform that can track and benchmark your performance across a variety of different platforms, all on one dashboard. It benchmarks you against similar stores as well. Nothing is worse than losing sales because you didn’t have enough inventory in stock. 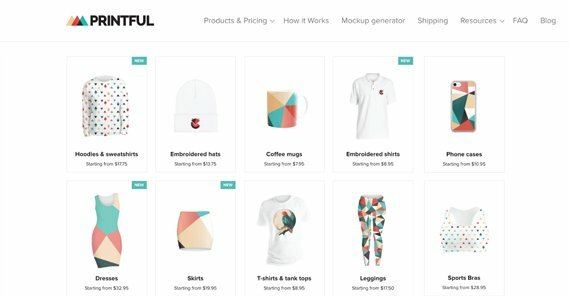 Rather than offering preorder sales as the preorder manager app does, this one allows users to sign up for email notifications and alerts when products are back in stock. It integrates with a number of popular email apps as well.